North Eastern India is still the least known region in the country. Served by the North Eastern Frontier Railway (NEFR), this region is comparatively underdeveloped than most of the country because of the undulating topography, insurgency and local laws. However, the recent “Look East” policy to develop the North Eastern states and increased railway connection are playing a crucial role in the development of this region. In 1881, Assam became the first Northeastern state to get a railway connect. 65 KM long metre gauge line was started between Dibrugarh and Margherita. This track was used to transport coal and Assam tea to the mainland. The railway tracks were later elaborated to 221 KM along the untamable Barai Mountains in Assam’s Dima Hasao district. This zigzag route, having 37 tunnels, is an engineering marvel till date. 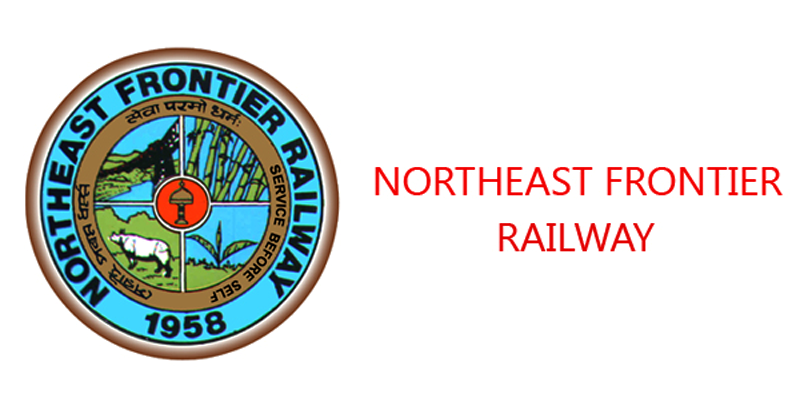 While the Northern railways is India’s largest railway zone, the Northeast Frontier railways on the other end is the smallest. The zone has its headquarters in Guwahati and it is divided into 6 divisions. The rail network through this railway zone is mostly narrow gauge, with low speed limits of 30 km/h in many parts. The easternmost functional station in India is Ledo, ahead of Tinsukia in Assam. However, technically speaking the easternmost station is Lekhapani which is now non functional. 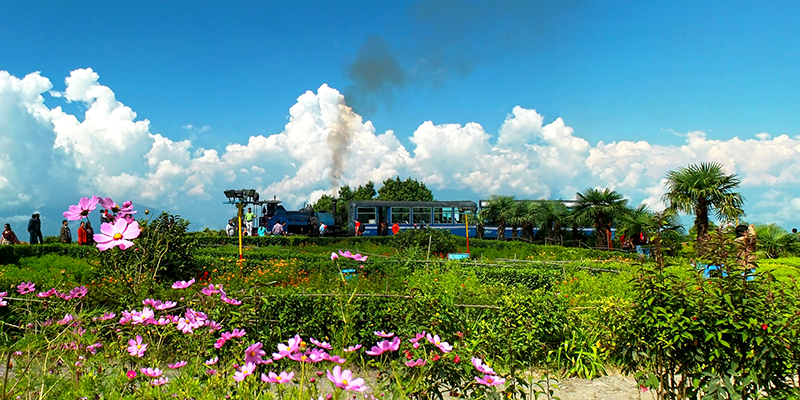 The last train to Lekhapani ran in 1997, and ever since Ledo has gained this distinction. As you know, the easternmost operational station in India is Ledo. 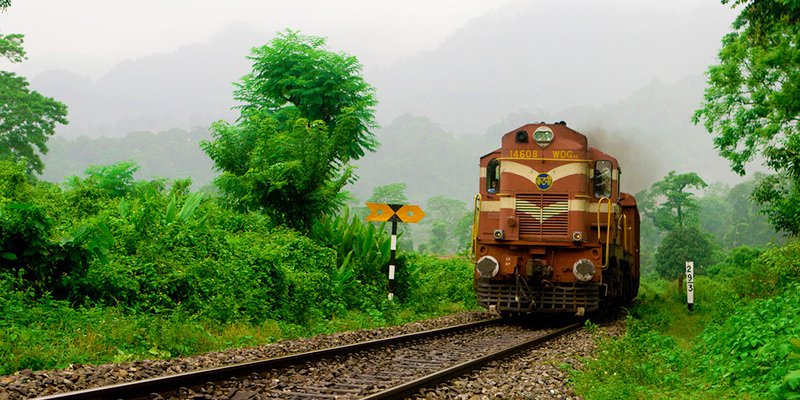 But, what you may not know, there are tracks laid uptil Tipongpani Wharf in Arunachal Pradesh. During World War-II trains would run till this station on the Indo- Myanmar Border. During the war, trains would carry supplies and reinforcements through this route. 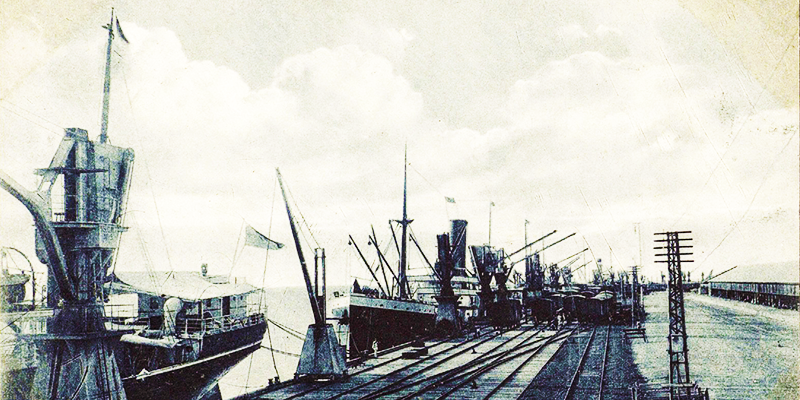 A coal shuttle in 1997 was the last train to reach Tipongpani Wharf, after which the route has been abandoned. Manipur is still a secluded part of India, which remains cut-off from the nation’s mainland. But with the planned railway line from Jiribam to Imphal, all this will change. The state’s capital will be connected with rest of India. One of the highlights of this project is the Bridge No. 164. This bridge, when completed, will have a pier height of 141 m making it the world’s highest girder bridge. Presently, Mala Rijeka Viaduct in Montenegro is the highest such bridge in the world. 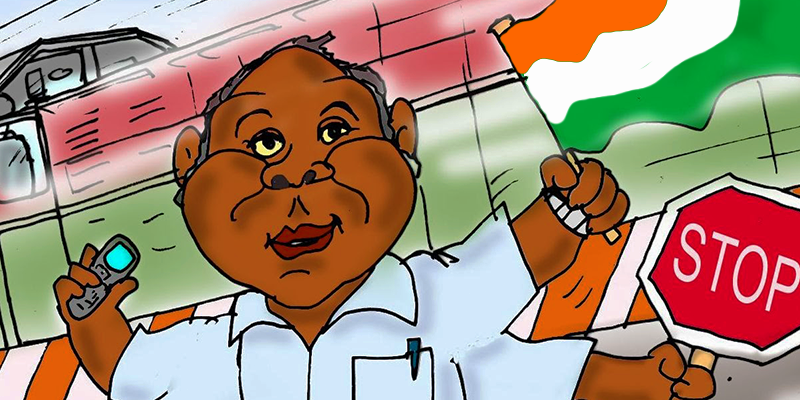 Travelling to the Northeast prior to the Independence or Republic Days can prove quite challenging. Couple of days prior to such occasions many trains are cancelled, short terminated or diverted due to security concerns. So, such occasions are not the best times to visit the northeast. Ghum railway station, under the Darjeeling Himalayan railways, is officially the highest railway station in India. So, how is it connected with Northeast Frontier railways? Well, in 1958, the Darjeeling Himalayan Railways became a part of the Northeast Frontier railways. This station is situated at an altitude of 2,258 metres, close by the picturesque Batasia Loop. Arunachal Pradesh entered the railways map of India in 2012, with the maiden run of Naharalagun- New Delhi AC SF Express. 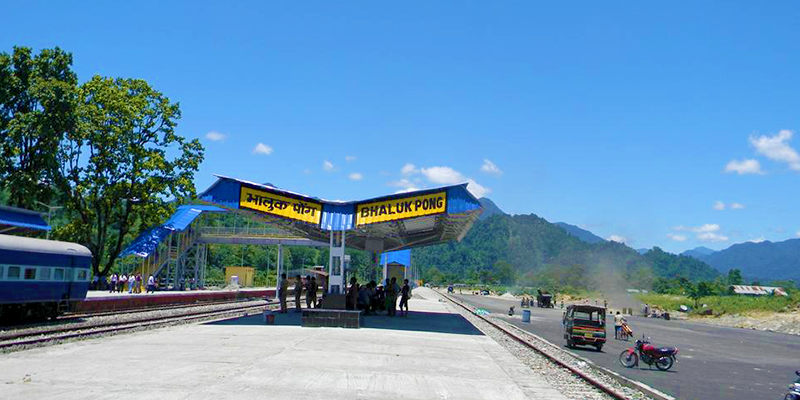 Then in 2015, railways reached the popular tourist destination of Bhalukpong when the Dekargaon- Bhalukpong Express was initiated along this route. 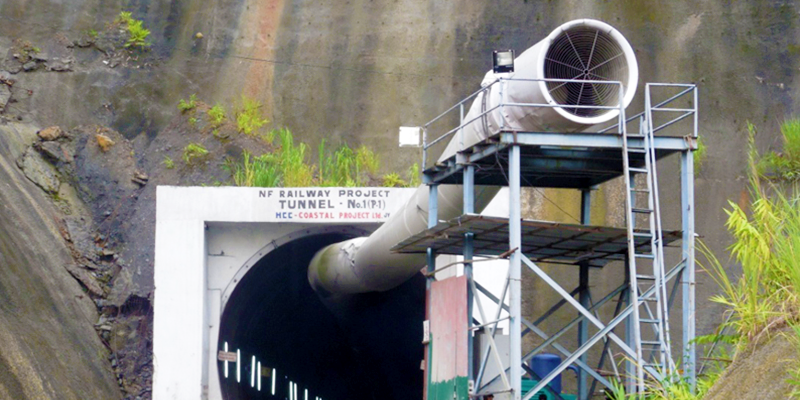 Since then Bhalukpong has become an important station under NEFR, serving the West Kameng district of Arunachal Pradesh. Apart from taking the tourists to their destination, the station is also an important halting point for the Indian Army with the Indo-China border less than 300 KM away. Presently, the train running between Kolkata and Agartala takes about 38 hours to complete its journey. But a route that crosses through Bangladesh could cut the time of this journey by as much as 16 hours. If plans work, there would be a line between Agartala and Akhaura (in Bangladesh) that would take passengers speedily to Agartala and vice versa. Hi, my name is Anirudha Chakraborty& i live in Dibrugarh,Assam. I presently study in chhattisgarh & hv to travel from my home town to bilaspur by rail & it takes 60 hrs i.e 3 long days. So i want indian govt to put more emphasis on nefr so that students like me will not hv to suffer ny more in future. Thank you. Your point is valid, but we would like to inform you that RailYatri is an independent organization not associated with Indian railways. Hi I am Sidhartha. I belong to a small village named ‘Naginimora’ in Mon district of state of Nagaland. There was a small steam locomotive pulled metre guage train of three coaches run between Simalguri (Assam) – Naginimora (Nagaland). The total distance it use to cover was approximately 15 KMS. 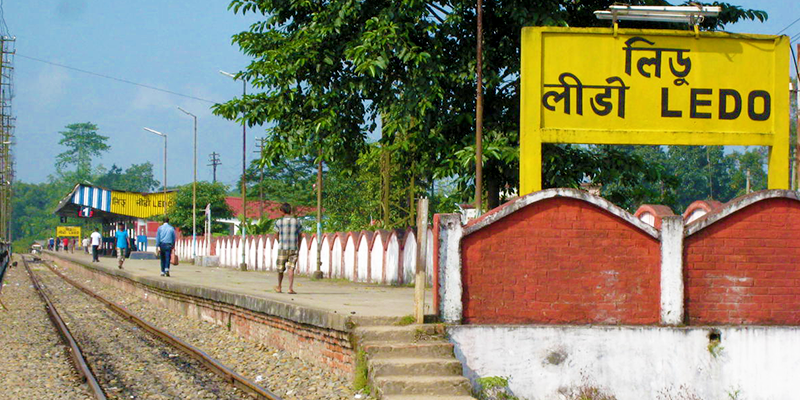 Naginimora was happened to be the last Station and the 2nd station in the state after Dimapur. It was good old days when this train was used by the people of both the states. There use to be goods train too to facilitate the business (stone, coal, logs, etc) activities. But twice the natural calamity(flood) struck which washed away a large portion of track, destroying the entire railway link. Thereafter, God knows why the successive governments turned a blind eye to restore the connectivity. Now the situation is such that large tract of railway land has been encroached by the settlers leaving little scope to trace the old railway track. Nowadays people staying in our village and adjoining villages have to hire vehicle to reach Simalguri for which they have to pay a hefty amount. But still it’s not impossible to relay the track if sincere effort is made. As we can expect from the sincere government in power in Assam and it’s ally in Nagaland. Trains these days always run late. It’s pathetic.